Shane Greenstein is the MBA Class of 1957 Professor of Business Administration and co-chair of the HBS Digital Initiative. He teaches in the Technology, Operations and Management Unit. 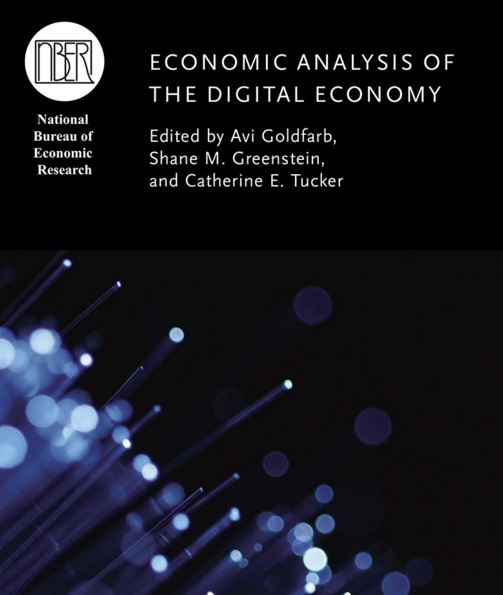 Professor Greenstein is also co-director of the program on the economics of digitization at The National Bureau of Economic Research. Encompassing a wide array of questions about computing, communication, and Internet markets, Professor Greenstein's research extends from economic measurement and analysis to broader issues. His most recent book focuses on the development of the commercial Internet in the United States. He also publishes commentary on his blog, Digitopoly, and his work has been covered by media outlets ranging from The New York Times and The Wall Street Journal to Fast Company and PC World. His most recent book, How the Internet Became Commercial: Innovation, Privatization, and the Birth of a New Network (Princeton University Press; 2015) demonstrates how, without any central authority, a unique and vibrant interplay between government and private industry transformed the Internet. In less than a decade, the Internet went from being a series of loosely connected networks used by universities and the military to the powerful commercial engine it is today. Professor Greenstein previously taught at the Kellogg School of Management, Northwestern University, and at the University of Illinois, Urbana/Champaign. He received his PhD from Stanford University in 1989 and his BA from University of California at Berkeley in 1983, both in economics. He continues to receive a daily education in life from his wife and children. I am economist who can tell an economic story without putting an audience to sleep. By modern standards that makes me a bit unusual and a little old fashioned. Among story-telling economists, I tend to be uncommonly good at telling stories about how stuff works, especially in technology markets. To be clear, I don't mean the type of witticisms so common on Twitter, or the cliché's typically found in the technology forecasting section of a lightweight white paper. Rather, I have a good intuition for how to illustrate potential economic insights and generate some depth of observation. On a good day I can bring almost any reasonable topic to life with an example or illustration, and help a student see features in the situation they had not previously perceived. Nothing gets my juices going like a great question from an enthusiastic and engaged audience. Ditto when somebody reads my writing and is curious about a new direction. I want to change the way the world thinks. I would also like to be a good Dad and husband. Both are easy goals to state and impossible to achieve. You mean a success other than persuading my wife to ignore all visible evidence and actually marry me? I have to go with my recent book. It is the first comprehensive treatment of the evolution of the commercial Internet in the 1990s. It argues that the deployment of the Internet was comparable to the biggest technology deployments in the history of US capitalism - such as electricity, automobile, and indoor plumbing, and so on. That is easy to state, but very challenging to document and analyze in depth all across the US economy. I am the first contemporary business analysist or economic historian to successfully offer a framework for explaining the origins and economic impact of the Internet and in all its breadth and depth - which the book calls "innovation from the edges." That is the big idea of the book. Only time will tell whether that answer succeeds in changing anybody's mind. For now all I can claim is something modest: it is the first book to analyze commercialization of the Internet and develop the theme from start to finish. I do not have a good answer to this question. The most challenging moments in my professional and personal life are not suitable for public airing, and nobody needs to hear about a challenge that was easily overcome. Let's move on. Other than my wife and kids? Well, let me say this. In writing the book I met so many people who made selfless contributions and humbly added their piece to the whole Internet. It is just amazing how many super-talented people made the system work at the outset. Still true today in many parts of the Internet. We should all wake up every day and thank these people. Here are three. First, Yosemite. Almost anywhere, but, specifically, the top of Half Dome. That feels like the top of the world. If climbing is too hard, then I would settle for Olmstead Point on the other side of Yosemite Valley, which you can just drive to. Breathtaking views. Second, I never grow tired of watching a sunset over the city of Jerusalem. Mount Scopus has a great view, and it ranks as one of the most magical locations on the planet. Third, I do not know that any experience (before or since) has ever created such joy as watching the birth of my children. The hospital in which that occurred has since been razed, so I cannot visit the place any longer except in memory. Now and again I like looking at a picture of those days and it always makes me smile. Given what I do for a living I should be a gadget freak, but long ago I burned out on being a beta-user. So if I had to pick a favorite product, let it be modern antibiotics. I am allergic to penicillin, so I am especially grateful for all the antibiotics that substitute for penicillin. I have had two infections in my life, and both of those would have killed me in a less civilized age. Today treatment is routine with these antibiotics. On a similar note, a friend with advanced melanoma - typically fatal - recently got a second lease on life from new drugs that send the immune system into overdrive. That seems like a favorite too. And while we are at it, a few years ago I watched how a CT scanner helped a brain surgeon save my father after a fall. CT scanners also became a favorite products after that experience. Notice a theme? I just spent seven years writing a book. Right now I am pretty passionate about not taking on another long project, at least for a little while. That said, if somebody asks me to explain how the Internet resembled many of the deployments of big innovations of the past, I am pretty certain that I still can get enthusiastic explaining the similarities between the spread of electronic mail and, say, hybrid corn seed.